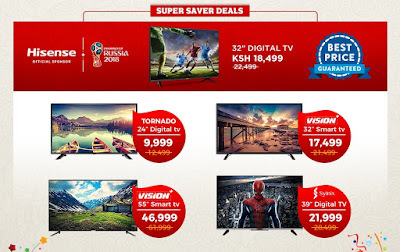 Jumia Launches Crazy TV Deals! 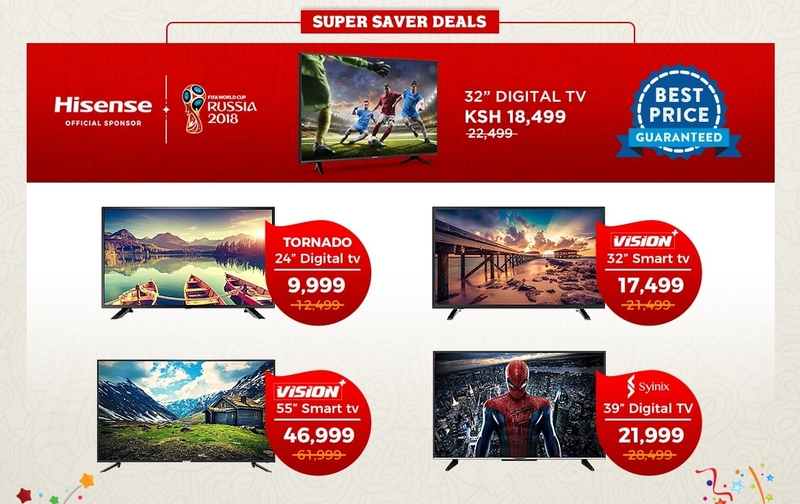 In a campaign dubbed 'TV Mania" Jumia is offering rock bottom prices on a wide range of TV models. The campaign will run from May 21st, 2018 to June 2nd, 2018. Customers have the opportunity to acquire TV and Decoders sets at heavily discounted prices of up to 50%. Check out some of the deals below or visit the Jumia Website.